Pokémon Expo Gym is an entertainment facility produced by Pokémon in Osaka as part of the Expo city mall. The gym is actually a selection of attractions spread across two floors. Each one allows you to digitally interact with a wide variety of Pokémon. 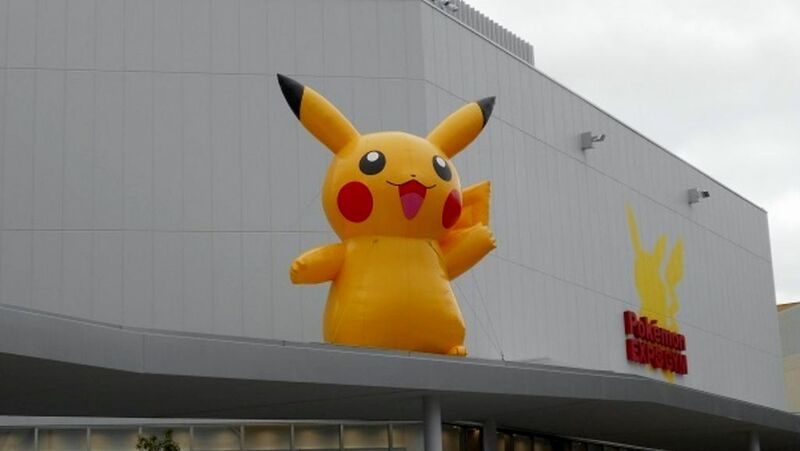 Also on site is a Pokémon-themed café and a giant Pokémon store. To enter the attraction area, you buy a card for 500 yen that you charge with credit in order to play the attractions. The 600-yen attractions are more like digital shows in a display of dazzling and special effects. The entire audience trying a couple of very simple moves, answering various questions, so everyone could get involved. You will be picked on to try and copy what the digital character showed you on screen. The 400-yen attractions are either played individually or in pairs and are kind of traditional video games with Pokémon-theme. A big problem with the Pokémon gym, all the attractions are in Japanese. If you have no Japanese language skills then a visit to the gym is going to be a confusing experience but there is loads of merchandise to keep you entertained. The store has a wide range of Pokémon goods, and the café sells everything in Pikachu wrapping.